An impacted tooth is a tooth that has not fully emerged from your gums or jaw. In some cases, a tooth may grow at the wrong angle. This can cause the alignment of surrounding teeth and cause other complications. Early detection gives you more options for addressing the issue, reduces discomfort, and averts other issues related to impaction. Your general dentist will monitor the growth of your wisdom teeth. Not everyone develops all four wisdom teeth. Your dentist will check these areas of your mouth regularly starting around age 16 or 17. Your dentist will take x-rays to confirm the bone structure underlying your gums. This will not only tell him or her if a tooth is impacted, but it will also reveal how the growth of that tooth can affect the rest of your smile. If you delay treatment for these symptoms, you might encourage secondary signs of an impacted tooth. These include cysts in the gum tissue, tooth decay, infection, and misaligned teeth. Even if your wisdom teeth are asymptomatic or “pain free” you should still keep an eye on them. Bacteria that cause periodontal or gum disease can grow around third molars and cause irreversible damage before any symptoms appear. Extracting an impacted tooth or several teeth is a very common process. At Prestige Oral Surgery, we will prioritize your comfort and care at every step in the process. Through treatment, we can put you back on the path to good oral health. 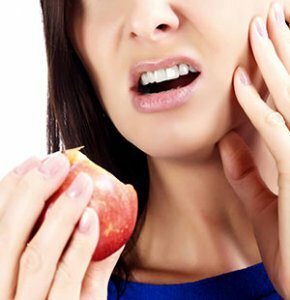 If you think you have an impacted wisdom tooth, contact Prestige Oral Surgery at 732-297-7000.